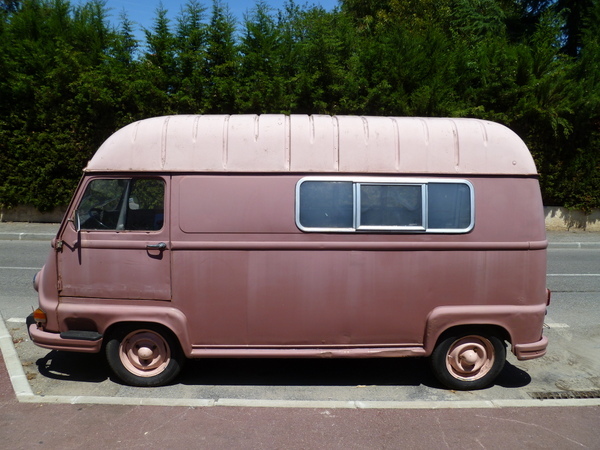 Curbside Classique: Renault Estafette 1000 – Could Even Its Mother Love That Face? While driving around Antibes, France, looking for a parking spot after dropping the family off at the beach, I came across this interesting looking vehicle. Once I found a spot, I headed back on foot to explore my find a bit more. Some cars are so obviously French that the only thing left to find out is which manufacturer was responsible for it. The French have produced some gorgeous cars, but they’ve certainly gone the other way with plenty of others, this being one of those cases (in my opinion, of course). The color of this example does it absolutely no favors either, it may well be the ugliest color I have ever seen on a car. 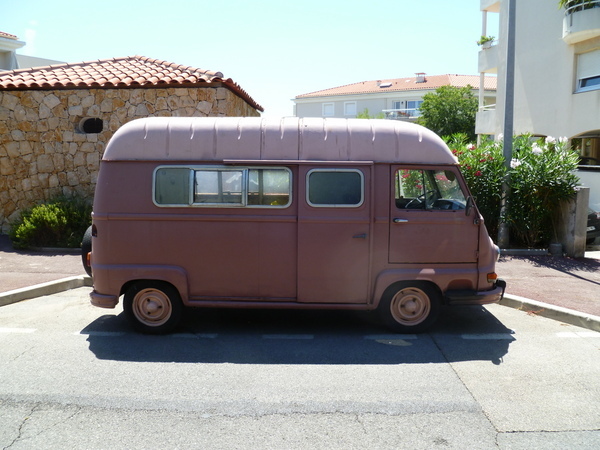 Anyway, the badge on the front gave it away as a Renault Estafette 1000, which was built between 1965 and 1968, along with a long wheelbase version. It would have left the factory with a watercooled 1108cc engine producing 45hp which was also used in the Renault 8. Payload capacity was 2205 pounds; I imagine fully loaded, it would have been glacially slow despite the van itself only weighing 2150lbs. 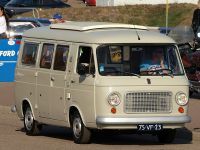 Renault started production of the Estafette in May 1959 and variants were built all the way through June 1980 with very minor cosmetic updates along the way. The engine that was used at the beginning of production was the 845cc unit from the Dauphine, but mounted in the front and driving the front wheels. 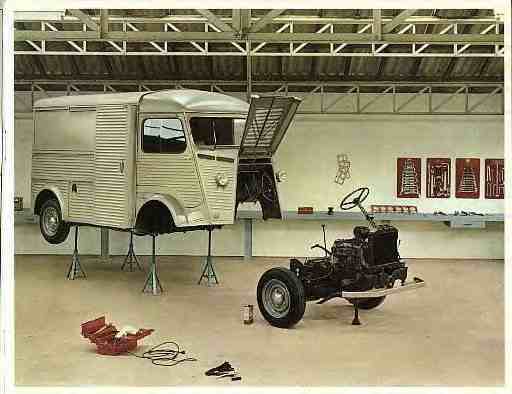 This helped to produce a very low floor, distinguishing it from its main competitor, the VW Transporter. The latest models used a 1289cc engine. I was thrilled (and amazed) to find the above picture. 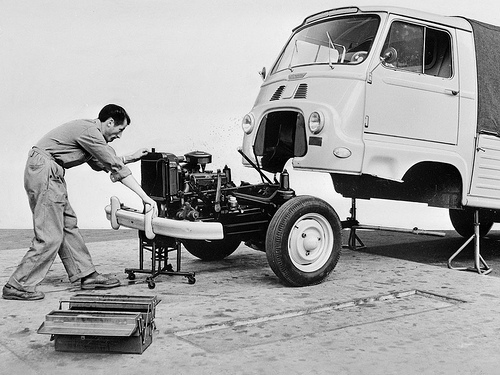 As easy as it is to remove a VW Bus engine, this is just incredible. Put it on jackstands, and you’re halfway there. The name Estafette is derived from the Italian Staffetta, meaning Courier, which is an appropriate name for a van. Ours is the long wheelbase van version with the high roof option, but there was also a minibus version, a pickup, as well as a chassis cab. The wheels are the three-lug design that seems to be mostly a French thing and while all five tires were of different brands, they were in good condition, confirming this to be a van that regularly moves around. The back has an interesting door configuration, with the top being a hatch and the bottom hinged on the sides, just like the “dutch door” versions of the Chevy Astro and GMC Safari. Speaking of doors, while this van did not have it, many of these had a driver side pocket door, wherein the driver’s door actually slid into the interior of the van. The effect is like that of a USPS Jeep, but with the door on the inside rather than the outside. 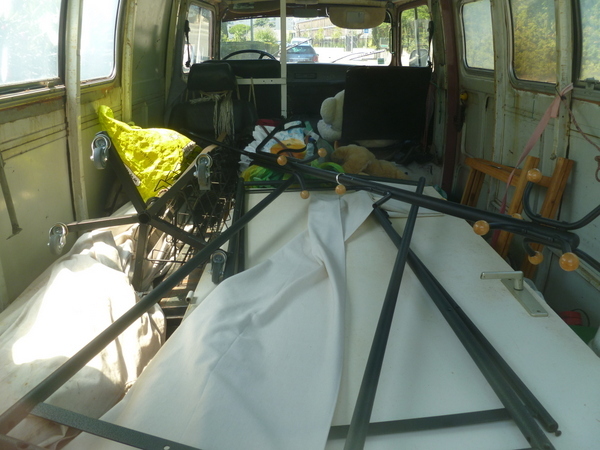 The shot through the back window makes it clear that the interior is fairly spacious, but with a lot of stuff in it. Since I have no idea of French laws regarding snapping pictures of people’s vehicles and speak absolutely no French, I took the pictures as quickly as possible and then walked away. 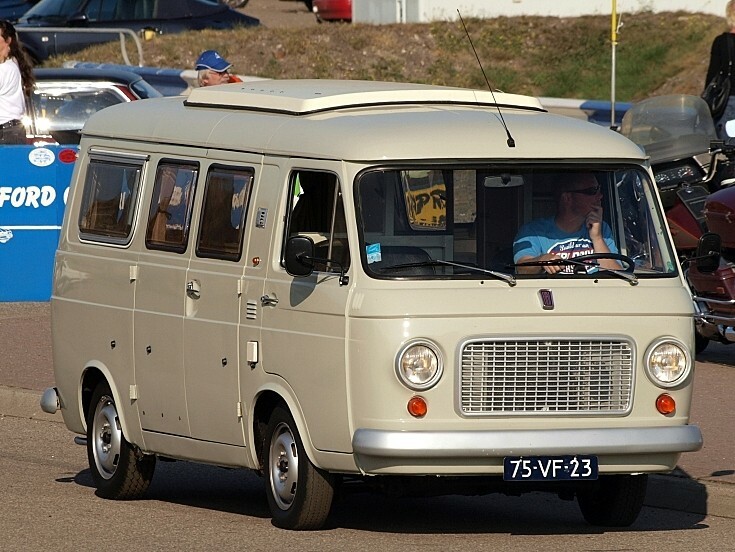 It appears that these were available in the US and Canada as well, as the Renault Hi-Boy and Renault Petit-Panel. I doubt they sold many over here and I’m guessing the VW Van and the Econoline had the market pretty much covered. Maybe they were more popular in Quebec or other areas that are more French in character. 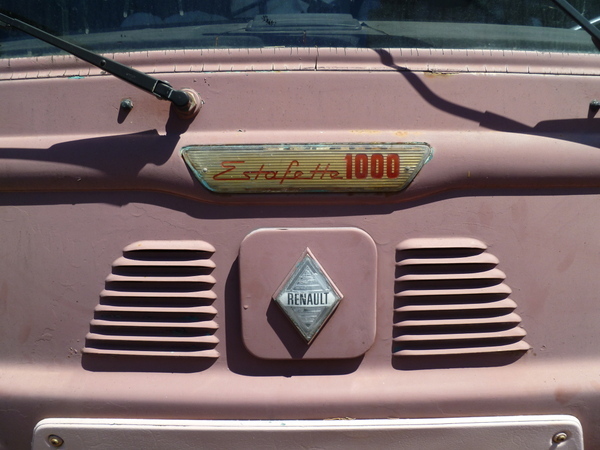 However as I was researching this article, I noted that at the time I was in France taking these pictures, there was an Estafette being sold on Ebay less than an hour from my house in Colorado. Weird. 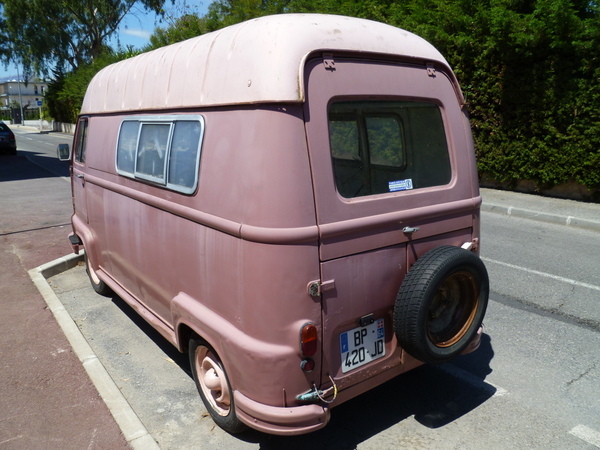 I was hoping to come across one of the Citroen H-vans while in France but did not see any. I recall seeing them as a kid all the time, but they’ve pretty much disappeared. Conversely, I have absolutely no recollection of seeing the Estafette when younger but now here one is. It’s not often I see something built in my lifetime without knowing what it is, but it does happen. It looks kind of like a VW Microbus mutant. Same basic design, with a few uglifications. You probably saw them, but the design is just so bland it’s instantly forgettable. As a van it seems to work very well, taking advantage of the compact, demountable FWD by, presumably, having IRS allowing that very low floor. The only real downside would be if you loaded something very heavy right at the back. I assume it is the forerunner of the Renault ‘Trafic’ vans from the ’80s onwards. It is indeed.. 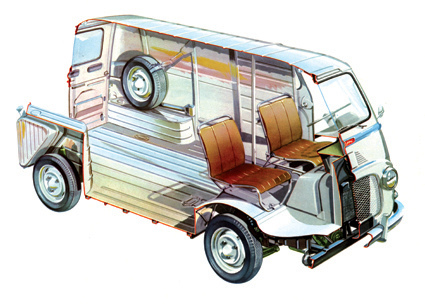 The Trafic directly replaced the Estafette in 1980… Including a low-geared 1.4 petrol version for ex Estafette customers who didn’t need any more power or speed. The Estafette’s rear suspension is a low-slung swing axle by the way, with short fat coil springs. The Trafic opted for simple and cheap dead beam axle and leaf springs to similar low floor effect. This looks like it was painted red originally, but never polished after leaving the factory. Did I read that correctly? A 48hp engine lugging a 2100 pound (empty) van, THAT sounds glacial. Add another 2000 pounds of cargo? Sounds like your 0 to 60 would be of the planetary rotation measurement type. The wheels/tires look tiny but the resulting smallish wheelhouses meant huge cargo room. My biggest quibble? The “extended” roof that looks a tad too large. I could almost stomach that front end. That’s what I thought too. Actually a really clever design, sort of VW bus in reverse. Makes for a roomy flat floor cargo area, and with water cooling a heater that would actually work. The 3 lug wheels do make me wonder about durability. Ugly van for sure. I’m not sure if I like it better than the Citroen version.Turn the face upside down and fill in the grill opening and you have a 68-79 VW van like front. As underpowered as these were, they certainly weren’t that much worse than the VW Microbus or the Corvair Greenbrier. The forward-control domestic models had more powerful engines, but I could see the front-drive Renault running rings around them. The problem with them, I gather, was that they were Renaults, indifferently marketed and even more indifferently built. Again, though, how much more so than anything else at the time? One deal-breaker, though, has to be the styling. The VW’s had character, the domestics were clean and trim, this thing is a misshapen blob. 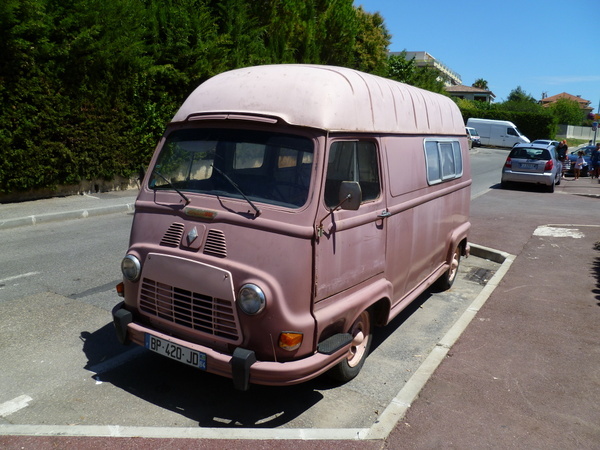 The French make great vans – my personal favourite will always be the H van – and one of the best places to see them is in a small town market. Not only do you get, say, a Renault Traffic or Peugeot J with a sales counter conversion selling everything from goats’ cheeses to horse meat and cooked chicken, there is usually an array of completely special bodied conversions, built on a chassis from Renault or Peugeot and coachbuilt in the same manner as a large RV.What looks like a large market stall with a central awning is actually a van with every side opened up, leaving just a small driver’s cab. There are also trailer versions that look like an exploded engineering drawing brought to life. Fascinating. I saw at a craft show at Long Beach, WA, a Courier pickup that had that sort of a body mounted on it, and was in use selling high-end leather jackets and such. It was weatherproof when closed, and lockable. I forget now where he said he’d gotten it – this was probably 25 years ago. Nice article Jim. Regarding performance I have to imagine that these vans would stay within a 10 mile radius of home base 90% of the time so speed is less important. Operating in a hilly area would be a challenge though! Have never heard of these. Homely things they are. I am amazes that Renault used those 3 lug wheels on a cargo van. Just don’t break one of those studs off along the side of the road. Its ugly enough but the performance would have been on par with other offerings of the era, Ever driven a laden CA Bedford or a Commer van what about a 1700cc Transit? No? I have and they can outrun arthritic snails but not much else a CA can only just manage 60mph empty same with the small engined Transit not designed for speed or freeway running these things are built for town deliveries and not much else like the early split screen VWs 70mph is a pipe dream. Very strange. Doesn’t look French at all, doesn’t look Renault at all…. except for the dashboard, which is clearly made of rearranged R8/R10 parts. If I could like a 56 Transporter I could get along with this. I really like being able to pull the whole thing with a few bolts and I’m being forced to accept fwd with the wife’s cars. The color is about the same as the “beach sand” my 57 chevy started out. That got changed pretty quickly. In east Texas the only color for a top is white if it’s pre air conditioning. Looks like the paint is mostly chalk now anyway. Face a mechanic could love with that drivetrain access! A shame they couldnt lower the top shock mount to make things even easier. What makes the front end so ugly is the inverted grill that is tacked on between the headlights. But this grill is an essential part of the engine swapping feature. If form follows function, it manages to have a certain beauty after all. Spot on Norm. The louvres above are presumably cabin air intake and no doubt there will be a filler of some sort behind the panel with the Renault badge on it. Like the original Mini the only styling is rounding off the rough edges. 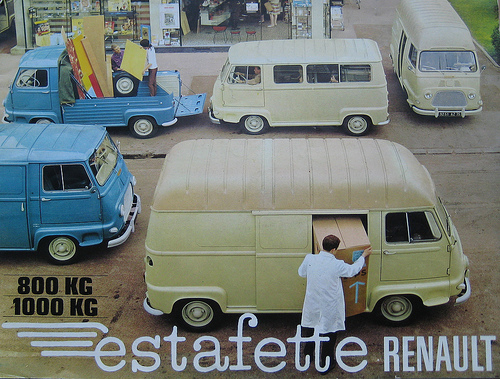 I was never aware of the Renault Estafette until the previous CC article, but I think they’re pretty sweet! Ugly, maybe… but it’s an endearing ugliness. A bulldog face, like Gem Whitman said. All Renaults from this era have a similar sort of quality. 45HP won’t get you anywhere too quickly, but I’m sure it has the crazy low gearing common to most European vans of this era. It probably tops out around 60MPH and most of them likely spent their lives as local delivery vehicles, being way overloaded and slowly plugging along between small towns or around city streets. The color on this one is extra weird. The roof and grille look like they should be more white, but they’ve got a hint of that same pink/salmony color that the body is painted. It almost looks as if something spilled on it at some point and was never washed off. Maybe it was used in the robbery of a jelly doughnut factory; the robbers crashed it through a wall but miscalculated their entry and accidentally parked under a precariously-held vat of jelly mixture rather than the room with the safe. That’s what I’d like to believe, anyway! Is the one in Ferrari livery a prop from Rush? 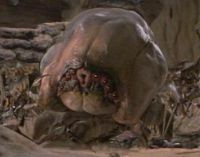 I haven’t seen the movie yet, but I thought I saw one of these in the trailer or a clip I watched. 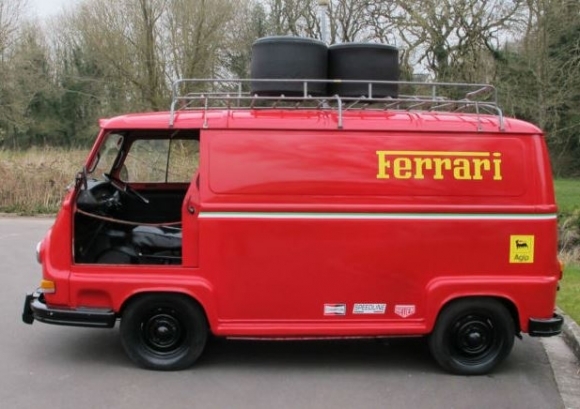 If that’s historically accurate, I wonder why Ferrari chose these over their hometown van… maybe a subtle Fiat diss by the F1 team?? At least the badge is good-looking! I think all the H vans have been imported to the UK for use by fashionable gourmet food truck types. am from Quebec and can say I’ve never seen these on the road around here . iirc, a Road & Track test of an R15 or R17 noted the powertrain was installed the same way: everything on a subframe. Drop 4 bolts and the entire thing comes out. I’ve yet to see easier engine removal than the Hillman Imp, you simply unbolt a rear crossmember behind the engine and the whole lot wheels out, or you can wheel the car away from the enigne/transmission, no jacking required apart from taking the weight of the engine. I remember them very well as we had them in Italy when I was a kid. Very french indeed, and not so ugly for the times. As for speed, everithyng else on the road was so much slower then today you’d hardly notice it ! The colour doesn’t look standard, or maybe it’s a badly faded red, I remember most of them were white or a pale yellow or pale green. They had a wider choice of colours for the home market. Also, there’s something weird in the front, possibly a later bumper (they sported a slim tube bumper following the rounded contour of the bodywork). Estafettes used to make perfect camping vans when I reached the age for a licence, but most had been worn out terminally, the same goes for the H (also far from being a beauty, dare I say). I would certainly love one today. Its a bloody delivery van, not a potential wife. Never considered whether they looked good or not. 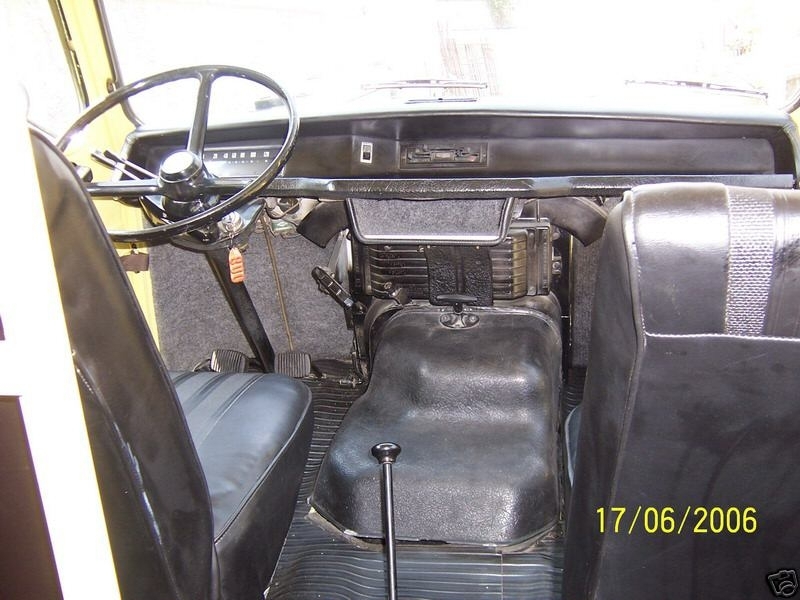 Like the H van they are supremely functional and thats where their appeal lies. Incidentally, the Benz vans of the ’60s functioned much the same. FWD, various different wheelbases/ body types; engine slides out the front end pretty easily once you jack it up and remove grille. Perhaps the idea stemmed from the Sherman tank, the whole engine slid out on giant drawer runners so you could do an engine swap in the field- genius! Armstrong Whitworth used a similar system on some of their pre-war diesel railcars so the whole diesel and generator unit could be exchanged. I think I’ve seen a few of these in the US over the decades. 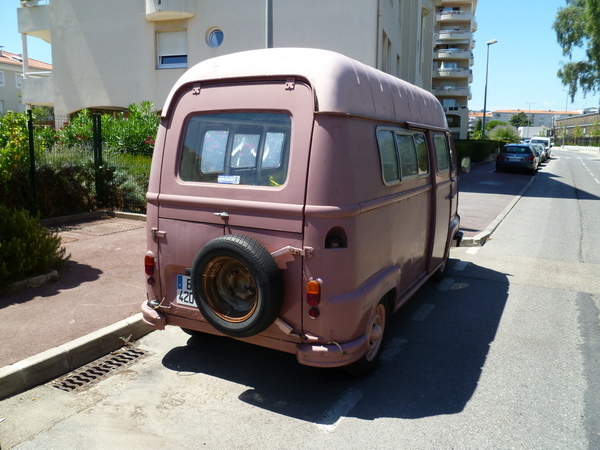 There’s a regularly driven Citroen H van around the corner from me. Only a block away from the other Citroen in town, my neighbor’s still-for-sale CX wagon (“break”).